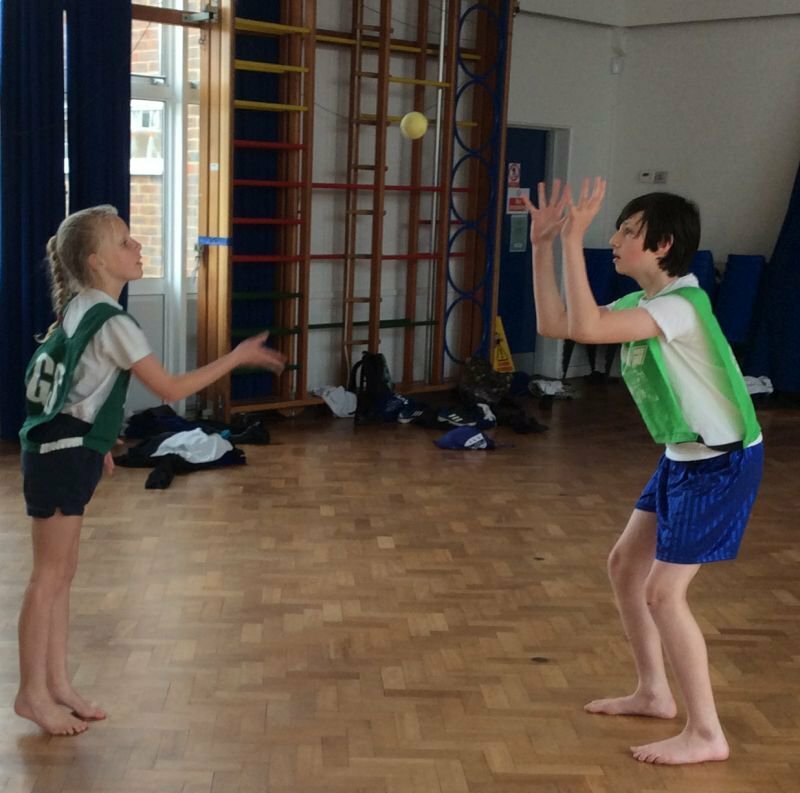 Rain prevented us from going outside for tennis today, so we held an impromptu inter house competition in Y6 to put those tennis skills to good use. 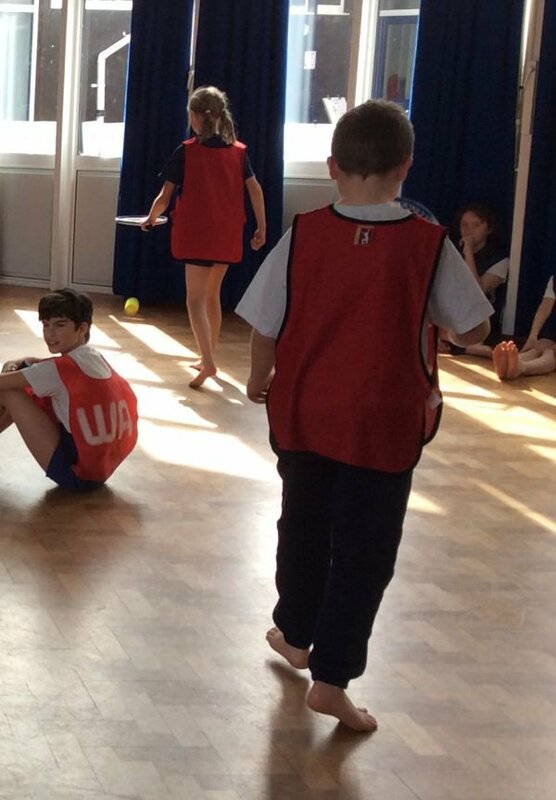 We split the children in to their four house teams, then a team at a time undertook the “Bounce About” task where they had to bounce a tennis ball off the floor as they walked around, trying to avoid each other and keeping control of the ball. When they were “out”, they sat down where they were and provided an “obstacle” for their team mates. As they were surprisingly competent at this, we decided that we would stop them after two and a half minutes and see how many of the team were still in. 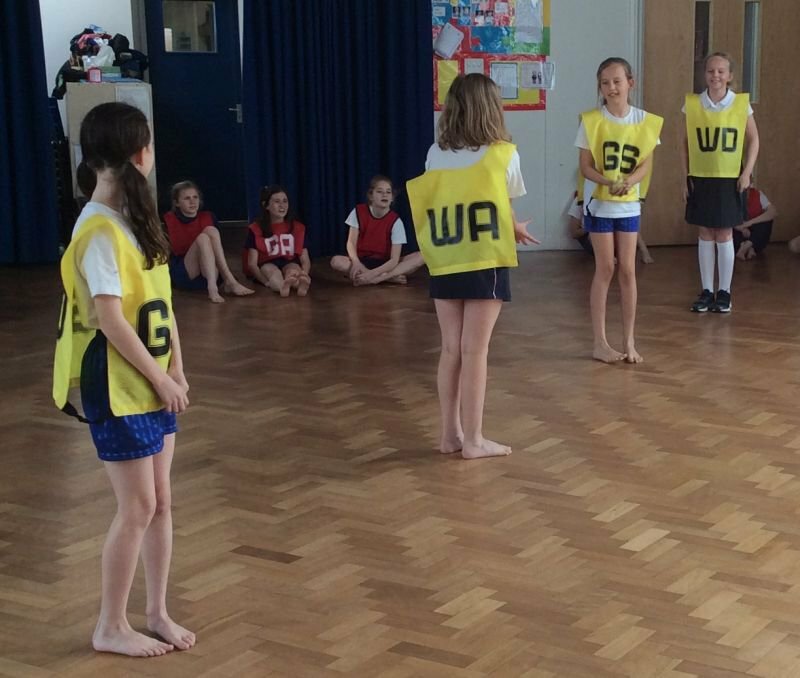 Ash and Beech teams still had two players, whilst Maple and Oak only had one. 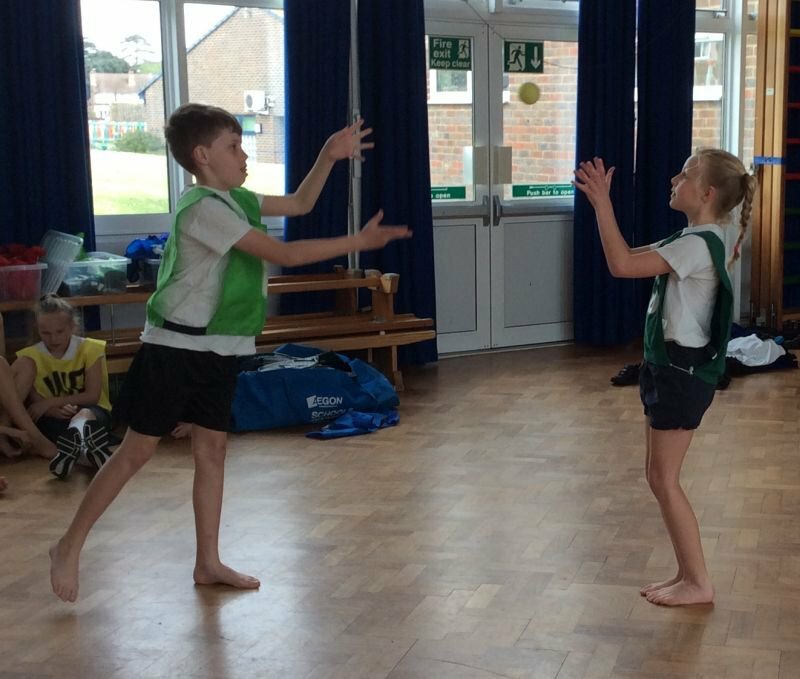 We then adapted “High, Middle and Low” to make a team game where the teams lined up across the hall, two metres apart from each other and had to pass the ball down the line at head height, then back at waist height, then back again rolling. Successfully passing the ball down the length of the team earned you a point. If you did all three, we introduced a second ball! 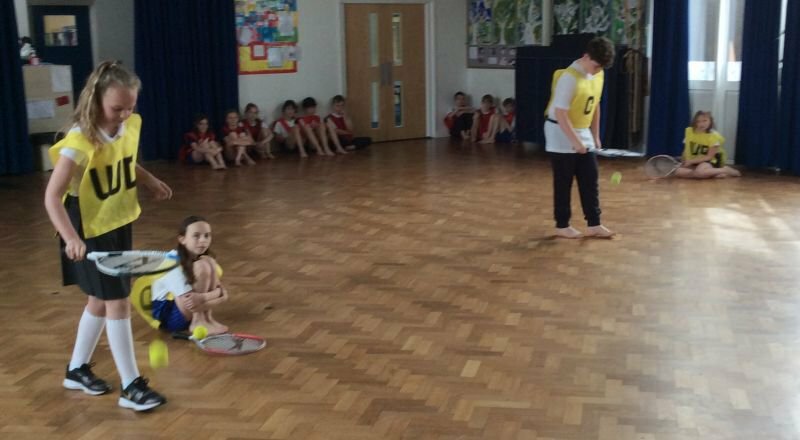 Ash scored 1 point, Beech and Oak scored 3 but Maple failed to score in this task.